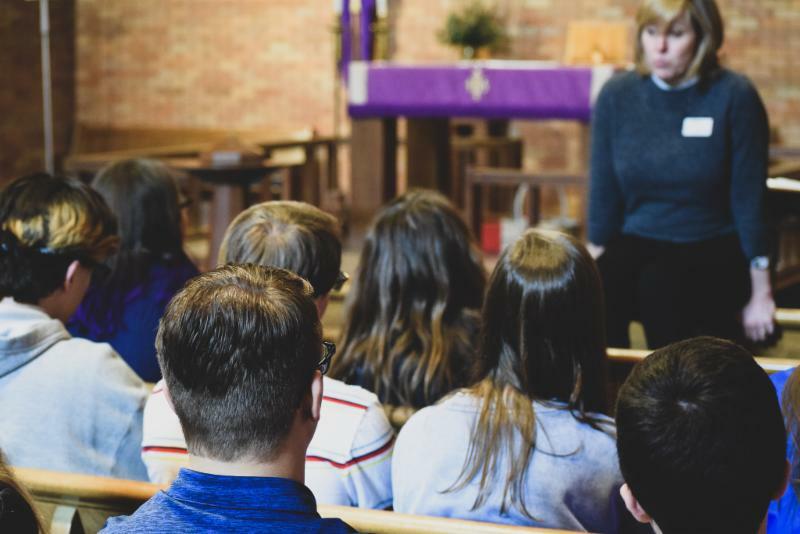 Bishop’s Day, a Virginia Synod event for 7th-12th graders was held for an afternoon on March 17th at St. Mark Lutheran in Charlottesville. Over ten youth and adult leaders gathered for a chance to converse with Bishop Bob Humphrey, Assistant to the Bishop Pastor Kelly Bayer Derrick, and other leaders about discerning one’s life’s vocation, including learning about the call to ministry in the church, especially the public ministry of Pastors and Deacons. 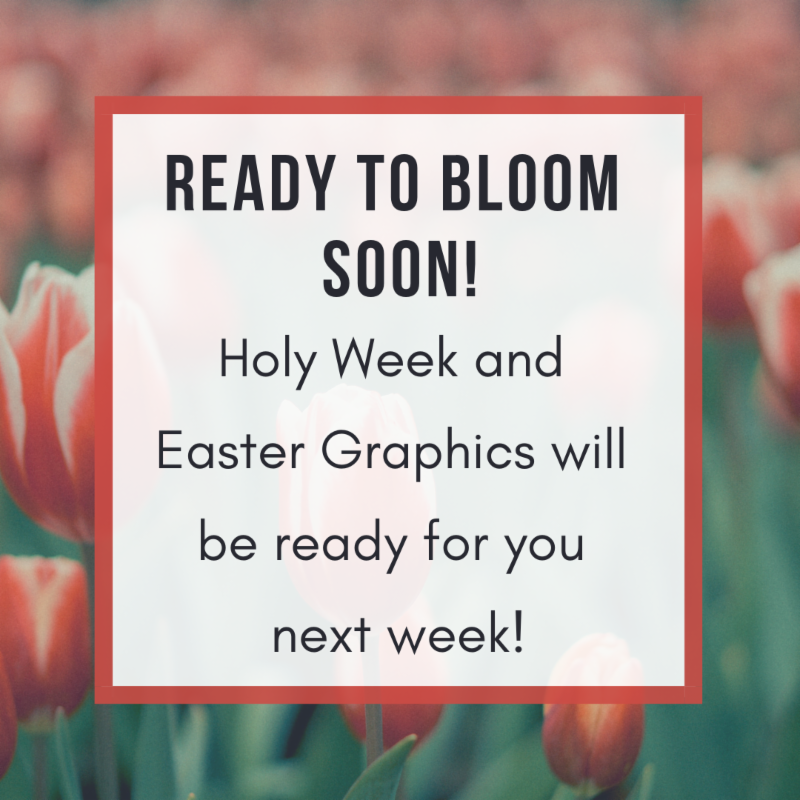 This year to support your communication needs, we're creating a number of Holy Week and Easter graphics you can use in your congregation! These graphics can be used as part of your congregation's social media plan, printed off and displayed in and around your church, or any number of ways that best serve your congregation! From email headers to printable posters there plenty of great ways to make use of our Advent and Christmas graphics! Tune in to the Virginia Synod Instagram account as we share some previews of these graphics as we put on the final touches! These graphics will be available on the Virginia Synod website next week, and we can't wait to share them with you! Sermons are available one month prior to the Sunday service they are to be shared during. View all the sermons shared on the Virginia Synod website . April 6 and May 11, 2019 we will gather for our ACTS Spring Course. 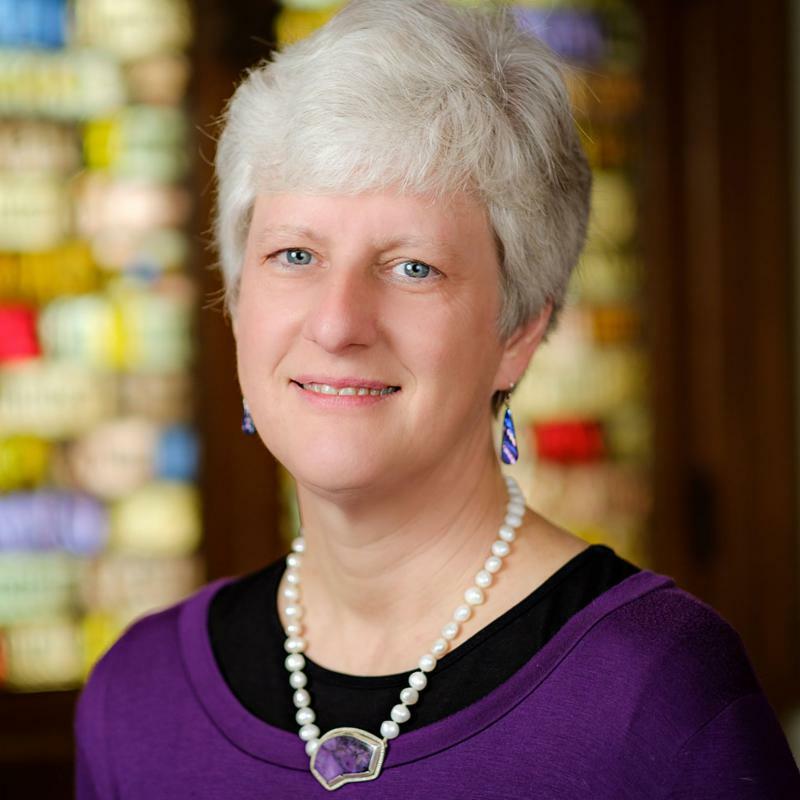 This year's spring course will be led by Dr. Jill Y. Crainshaw Acting Dean at Wake Forest University School of Divinity. This course will explore how throughout biblical history prayerfully listening to God changed the way leaders served in response to God’s call. The participant will learn ways a congregation can prepare and use their many differing personal and spiritual gifts for mission. For more information on the ACTS Spring Course and to register, click here. 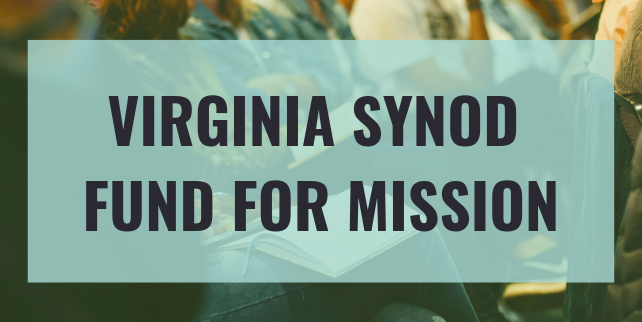 The Virginia Synod Fund for Mission was started in 2017. Synod Council set aside funds from the sale of former church properties to create an ongoing source of grants for congregations in the area of mission to influence incentives for new communities of worship. Visit www.vasynod.org/resources/vsfm for more information about the fund, application process and criteria upon which the Synod Council will evaluate grant proposals. Congregations who may want to apply for a mission grant are encouraged to contact the Rev. John Wertz Jr., Director for Evangelical Mission and Assistant to the Bishop to discuss the grant and application process. trails, use the labyrinth, pause in St. John’s Chapel, or rest by the lake. Call (540)-449-0012 or email julie@carolinefurnace.org to learn more! Christ Lutheran Church, Staunton–Pastor Rob McCarty, Dean of the Southern Valley Conference, and Music Director Florence Jowers–is sponsoring Bach Around the Clock on March 23rd , from 9:00 am to 9:00 pm. The church will once again partner with the Heifetz Institute and Nicholas Kitchen, Artistic Director, to feature the music of Johann Sebastian Bach, the greatest Lutheran church musician, composer, and organist. Each hour individuals or ensembles will play and sing the music of Bach, who wrote over 300 sacred cantatas, hundreds of organ works, many string compositions, and elaborate pieces for various instruments. The event is free, though a “Bach’s Lunch” may be purchased for $10, and donations are encouraged, especially for the evening program. Christ’s Director of Music, Florence Jowers, will present an organ recital on the Taylor and Boody Organ at 10:00 am, and Christopher Jacobson, Duke University Chapel Organist, will perform in the 7:00 o’clock hour. At 8:00 pm a Choral Extravaganza will take place as guest soloists, chamber choir, and orchestra perform cantata arias, duets, and choral settings. Pastor Paul Weber will conduct the combined forces in a fitting conclusion to the day. Come and enjoy the elegant music of Bach in Christ Lutheran’s acoustically vibrant space! The church is located at 2807 N. Augusta Street, Staunton. For more information and a complete schedule, click here. If you wish to support Bach Around the Clock in a special way, you may request a patron letter from Christ Lutheran Church at celcsta@gmail.com. In Deuteronomy, we are instructed by the LORD to write the Word on our hearts and to talk about it when we are at home and when we are away, and to teach it to our children. If we are to talk and teach such things, then we can always learn more. At Roslyn Retreat Center in Richmond on Saturday and Sunday March 23-24, 2019, together we will immerse ourselves in the biblical story as Pastor Chris Carr shares some parables and other stories with us. We will also have the chance to learn at least one biblical story by heart, allowing God’s Word to get under our skin and work on us in a deeper way as we internalize it and carry it home! For more information and a flyer, click here. James R. Crumley Jr. Archives "Friends of the Archives" Banquet"
Reminder: Please RSVP to the Crumley Archives "Friends of the Archives Banquet" by Friday, March 29. The banquet is scheduled for Thursday, April 4, at the Lexington County Museum. Festivities begin at 5:00 p.m. This year, we will honor Rev Dr David Donges and Mrs Carolyn Donges, St Stephen's Lutheran Church (Lexington), and the S.C. Synod. For more information, contact Trudy Bouknight at crumleybookkeeper@gmail.com or call the Crumley Archives at 803-461-3264. We look forward to seeing you there! 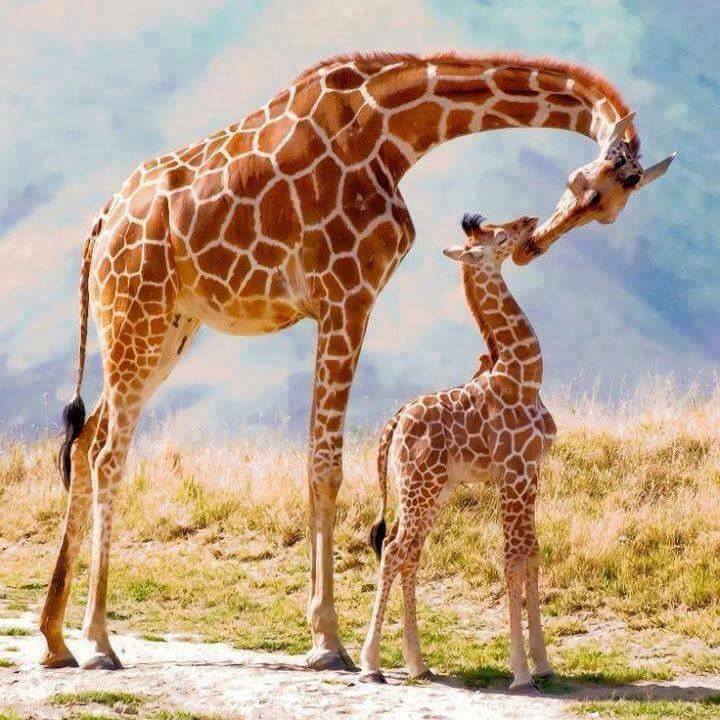 Is that African Safari on your bucket list? If so, we can help! There are still a few places open for our June Safari to the Kilimanjaro region of Tanzania, East Afrika! Lutherans Restoring Creation is offering a retreat at the Coastal Retreat Center on the beautiful Isle of Palms, SC from May 17 to 19. "Retreat - Restore - Renew" will be a gathering for people who want to dig deeper into ministries of creation care at home, with a congregation or synod, or with an institution of the church. For registration information, click here. Many of us have questions about God and our faith, but don’t always know where to go with them. Many of us would love to talk about our faith, but there isn’t always an easy place to do that. You don’t exactly ask someone across the lunch table at school, “Someone told me ‘Everything happens for a reason.’ That would mean God planned all those school shootings. What do you think?” Bishops’ School is your opportunity to be with people like you – people who want to talk about God, to think theologically. In addition to interactive classroom times, small group gatherings, and service projects, there will be plenty of time for making new friends and having fun! Bishops’ School 2019 takes place at Lenoir-Rhyne University. 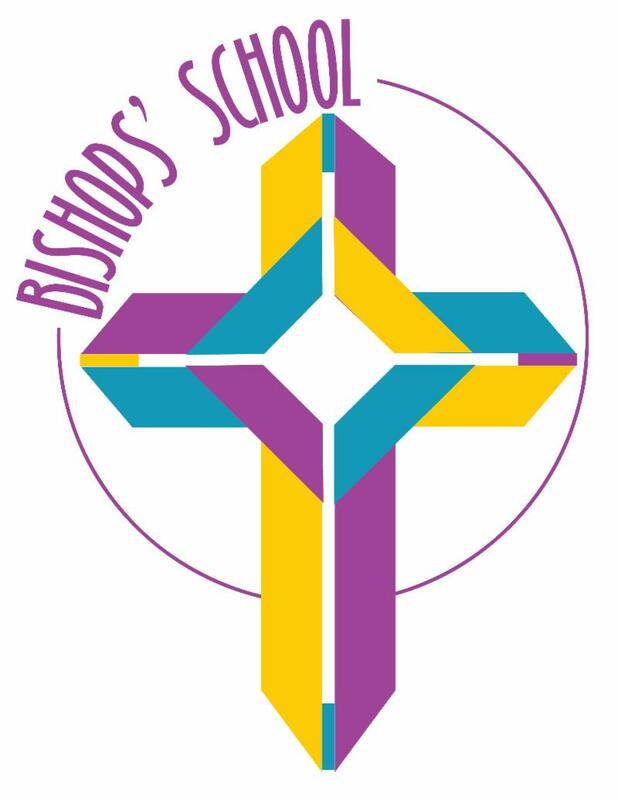 For more information and to submit a nomination for Bishop's School, click here. The youth and family intern will provide leadership in ministry to those in the first third of life while learning alongside the senior pastor and the volunteers that lead those ministries. The intern can expect to gain practical ministry experience through teamwork and leadership in the youth and family ministry program. This internship is year-round and has a two-year option. To apply, please send resume to ResurrectionLutheranFXBG@gmail.com For a full description of this position, click here. Caroline Furnace Now Hiring Summer Staff! Know a young adult who has what it takes to work at Summer Camp? They'll be signing up for 2 weeks of staff training and 8 weeks of varied outdoor adventure - May 31 to August 9. There are opportunities for select applicants to begin a couple weeks early and stay a week or two later. They can expect new experiences each week, to gain new skills, and to make friendships that will last a lifetime. They'll need an endless supply of energy, love, enthusiasm, patience and kindness. They must be able to share their faith story and encourage young people to grow in their own relationship with Jesus Christ. They must embrace the adventure of the outdoors and work well in a team. They must be willing to unplug from technology and focus on their relationship with God, nature, and the people around them. Academic Internships are available. Housing and meals are provided for the summer. Pay is based upon experience and certifications. Learn more and apply online.